Nurturing the spirituality of catechists is crucial to providing effective religious education. Incorporate guided meditation on Scripture into meetings you have with catechists; offer print or electronic prayer resources; provide reflection questions on particular Bible verses that focus on how the catechist encounters God through her or his relationship with the learners and the parish community. Host a “catechist table” at coffee and donuts after weekend Masses to help catechists recognize participation in the Eucharist within the parish community is part of their own formation; suggest parish events like the Lenten communal penance service as one of the catechist in-service options for the year. 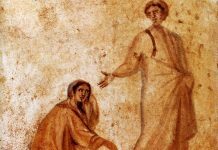 Work with area parishes to offer a day of renewal for catechists; extend special invitations to catechists for parish retreats; present a card containing sacred art to the catechists and invite them to use the image in contemplative prayer during the week. Establish a regular time to pray with all the catechists to make shared conversation with God an intentional part of the catechetical process; use the intercom system once a month to lead all present in a prayer for catechists. 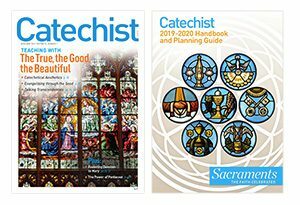 Encourage catechists to find a spiritual director: provide a list of local resources; offer a checklist of things to consider in establishing a regular practice of spiritual direction. Incorporating spiritual practices in the usual ways you lead catechists helps fan the flames of the personal desire to know and love the Word of God into a fiery passion for sharing the encounter with Christ and vice versa. Dr. Lori Dahlhoff, NCEA Religious Education Department Executive Director, has worked in catechetical ministry for over 20 years and is a member of NPCD. This article originally appeared in RTJ’s creative catechist February/March, 2013.